We’ve recently had lots of enquiries from lovely people wanting to hire out our gorgeous handmade bunting for parties and weddings so we thought we’d get it all out and check it over in case an y of it was in need of some TLC – and having hundreds of metres all over the floor, furniture and tables got us wondering about the origins of bunting and how it got the name so we did a bit of research to enlighten ourselves on a dark and rainy November Sunday afternoon! 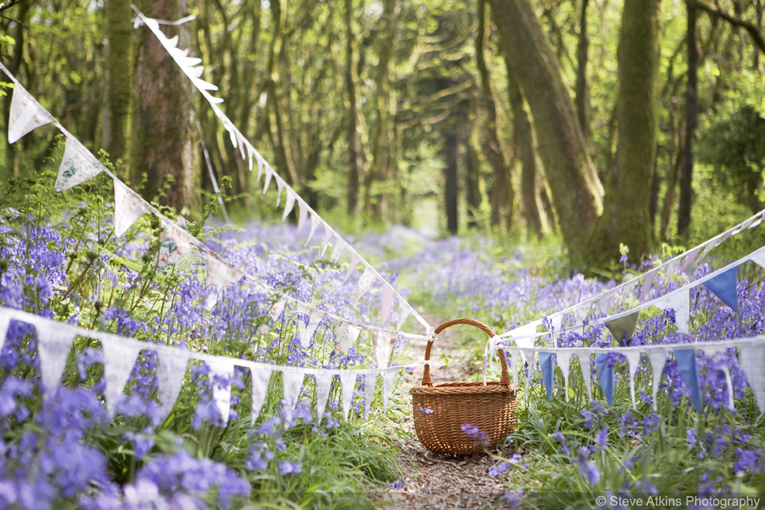 And believe us – when you get hundreds of metres all tangled up you really do need something to distract you! 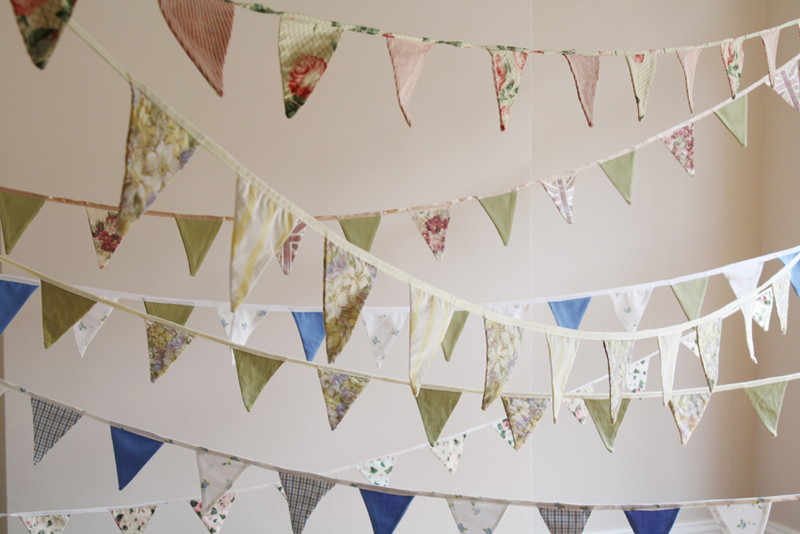 So here’s our little homage to bunting! 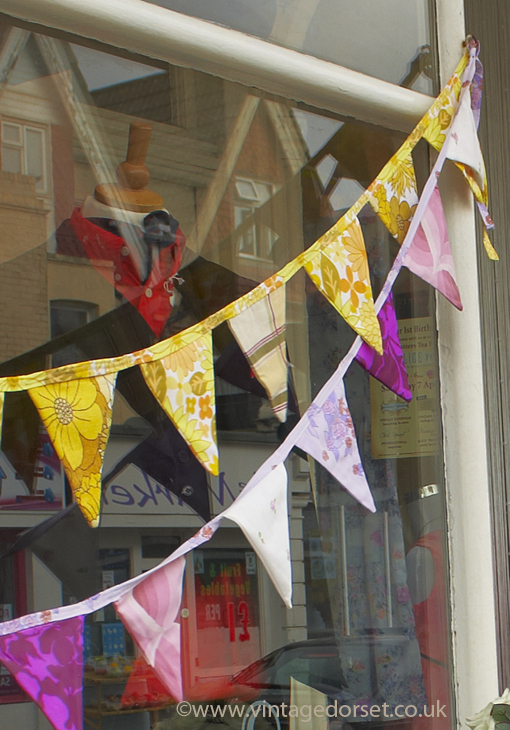 We use the term “bunting” these days to refer to any festive decorations made of fabric (or even paper and plastic) cut into triangles and strung together – although you can get all sorts of shapes and sizes now. The term was also used historically to refer to a collection of flags, particularly naval ones. The officer responsible for raising signals using flags was known as a “bunt” and it’s still the name used to refer to a ship’s communications officer. The initial meaning of the flag-colored “bunting,” when it first appeared in print in the mid-18th century, was “light cotton or woollen cloth used to make flags and banners.” This kind of cloth was of a very open weave, and apparently called “bunting” because it was similar to loosely-woven cloth used to sift grain or meal. The action of sifting grain had been known as “bunting” since the 14th century, and a contraption for sifting meal and grain had been known as a “bunt,” which may have simply been a form of the older word “bolt” (from the Old French “bulter”) for the same kind of sifting process. So the cloth routinely used to make flags was called “bunting” because it was similar to the cloth used to sift grain and meal. 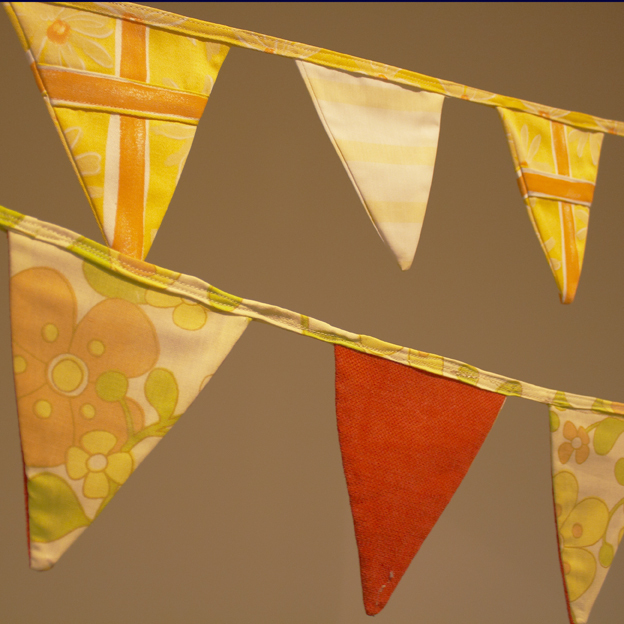 And when the same cloth was used for decorative, flag-themed draperies or streamers, it made sense to call those “bunting.”! Many thanks to the guys at The Word Detective for that! Published by annie, on 5th November 2012 at 9:09 pm. 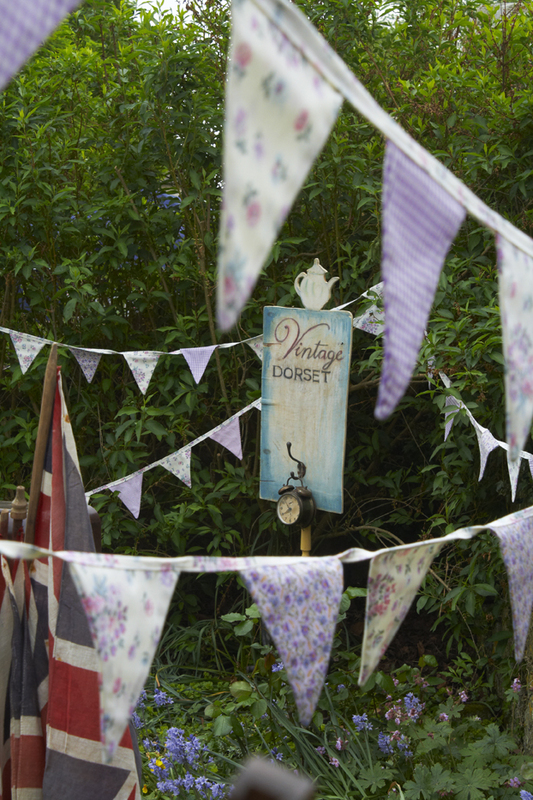 Filled under: Vintage Activities,Vintage Arts,Vintage Events,Vintage Homeware,Vintage Local History,Weddings Tags: bunting, Dorset, parties, vintage, weddings • Comments Off on Homage to Bunting!